You hear us use the word “probiotic” all the time (because our frozen yogurt is packed with it! ), but do you really know what it is? Probiotics are microorganisms, such as bacteria and yeast, which improve health when they’re introduced into the body. Don’t worry, probiotics are the good guys/ good bacteria. The idea of taking in “live bacteria” may seem strange, but did you know your digestive system is home to more than 500 different types of bacteria? Probiotics help keep your intestinal function and digestive system healthy and strong. 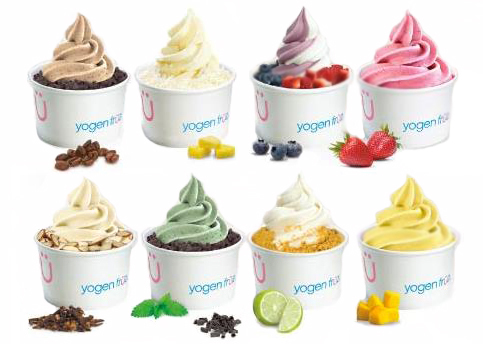 Yogen Fruz® frozen yogurt bars and soft-serve yogurt are both packed with active live cultures (probiotics). We recommend blending our frozen yogurt bars with IQF (individually quick frozen) fruits to add natural sweetness and flavür to your mix.